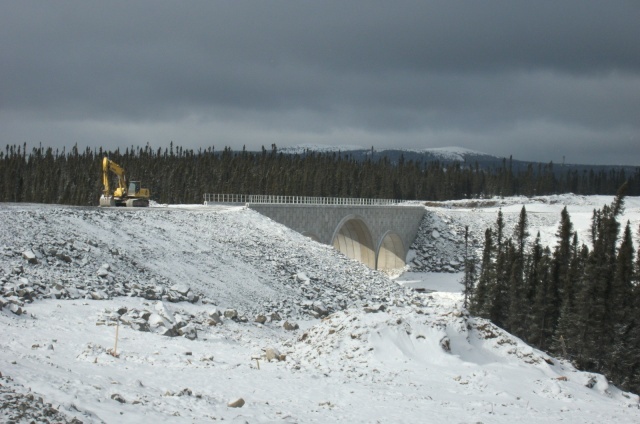 This project, for Consolidated Thomson, entailed the construction of a 34-km railway connecting the Bloom Lake Mine (on the border of Quebec and Labrador) to the existing railway near Wabush Mines. 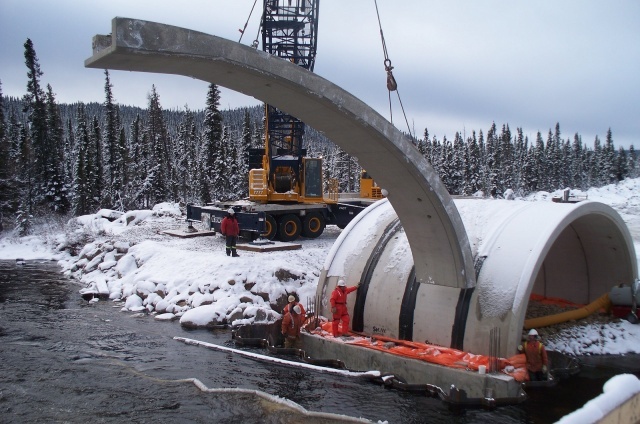 In addition to building 4 structures and over 25 culverts, we crushed and placed mass quantities of aggregate: 4.6 million cubic metres of excavation and 450,000 tonnes of crushed aggregate. The line was successfully completed in 2010.